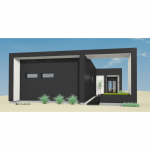 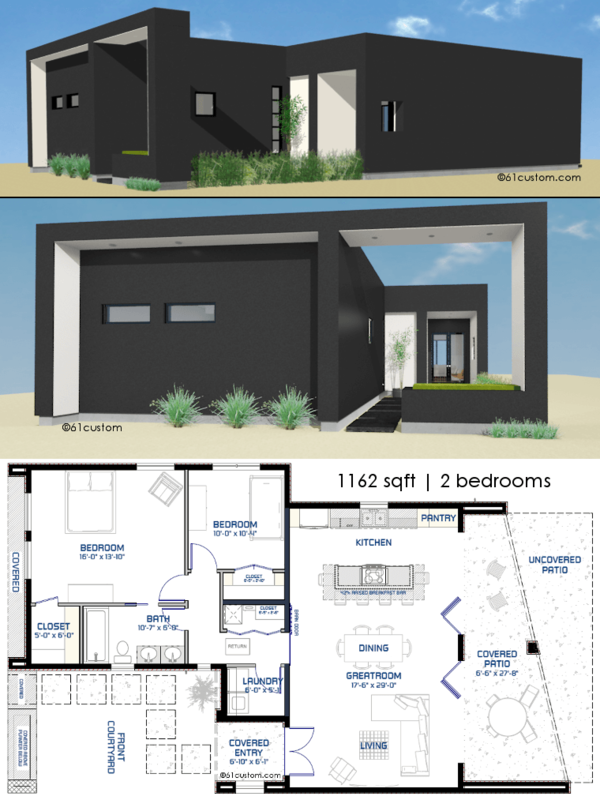 This small modern house plan offers two bedrooms, one bathroom, a spacious greatroom with a large kitchen island, modern kitchen, inviting front courtyard, large covered patio, laundry room and walk-in closets. 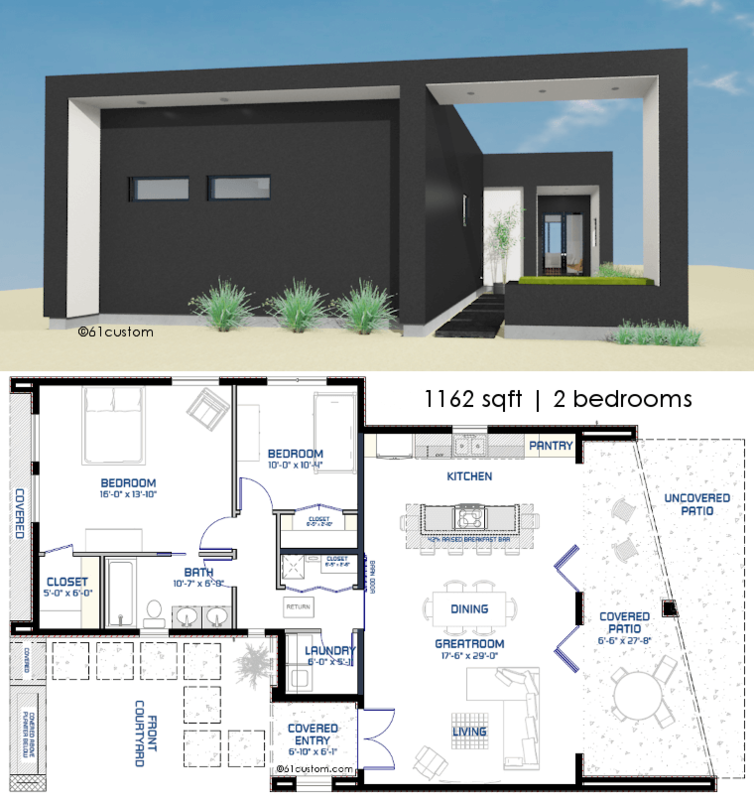 1162 sqft. 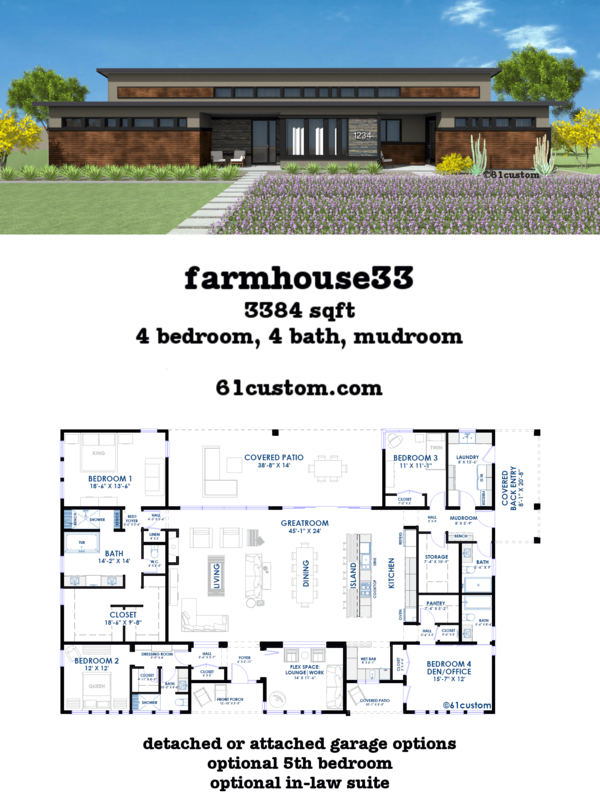 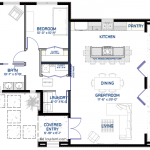 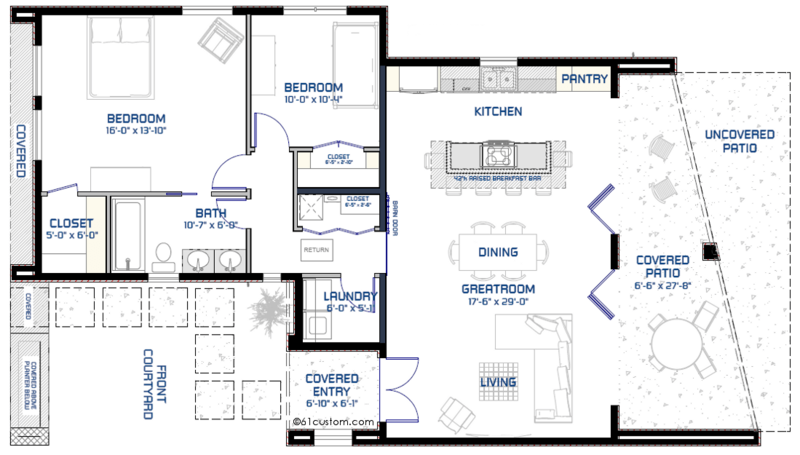 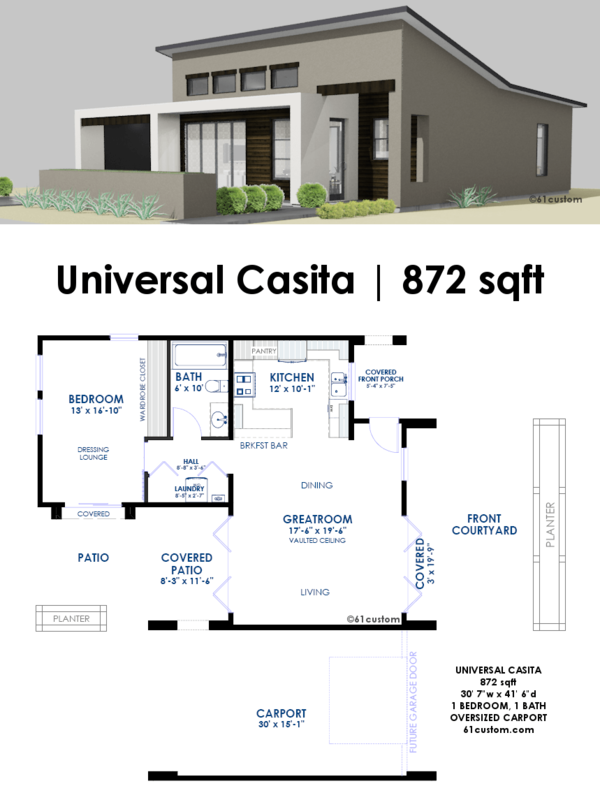 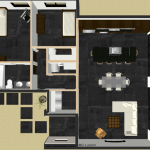 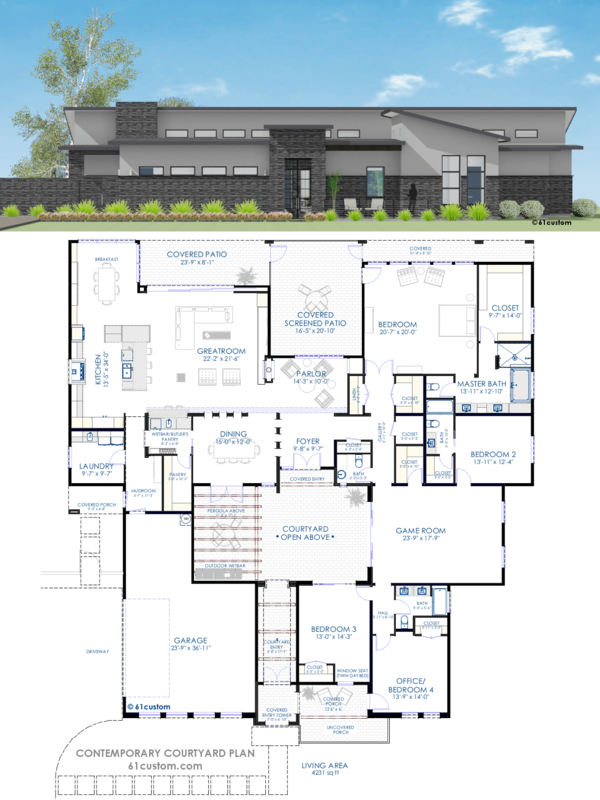 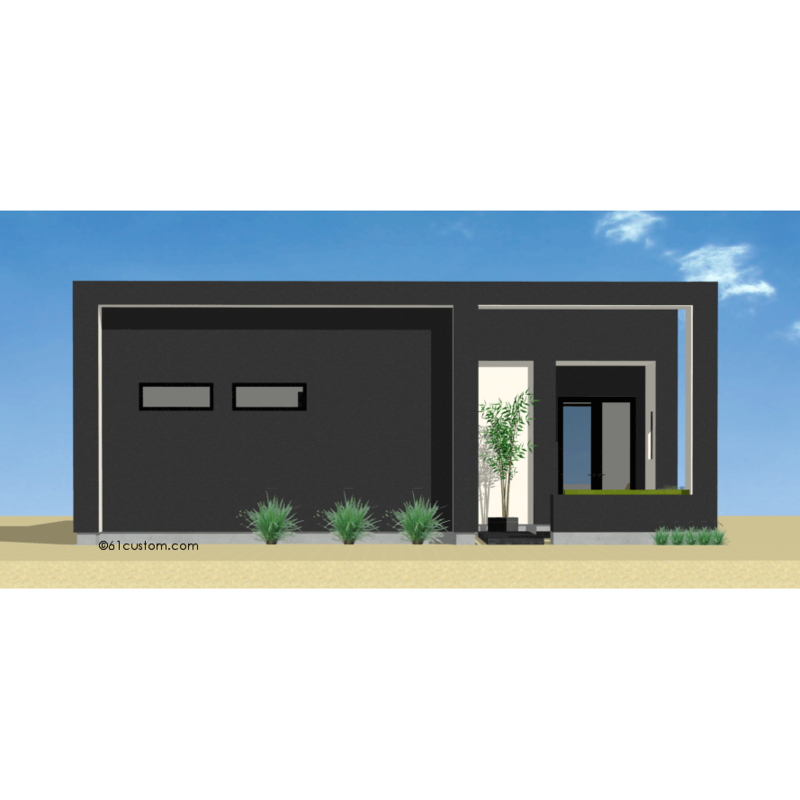 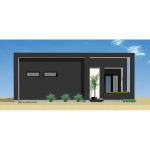 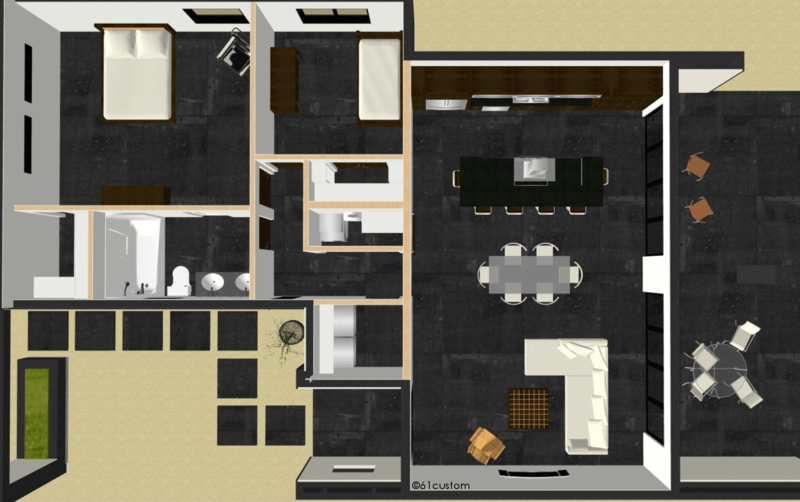 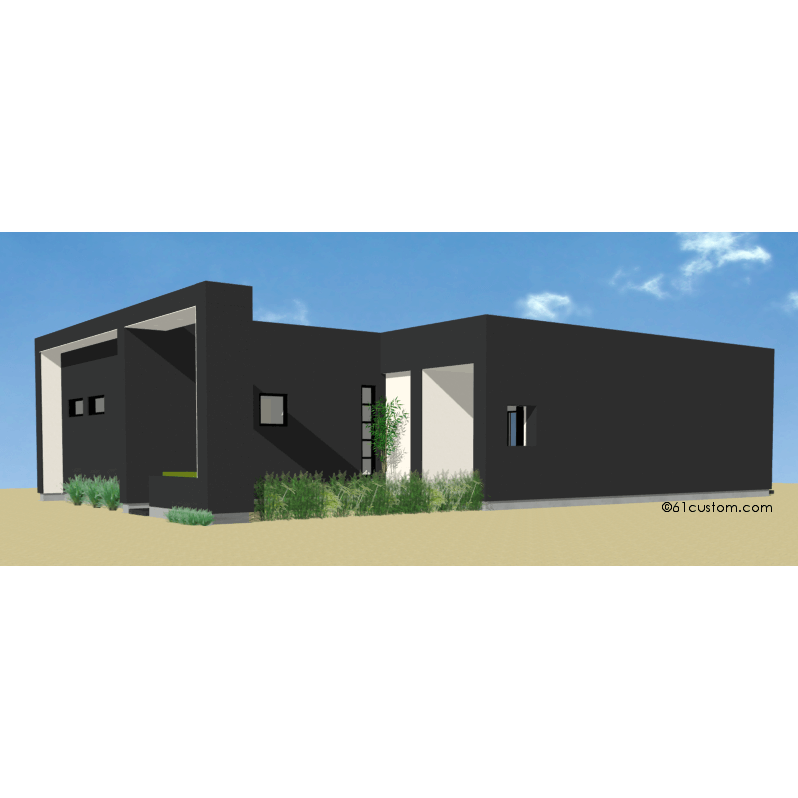 A slightly larger version of our studio900 plan, this single level small modern house plan offers two bedrooms, one bathroom, a spacious greatroom with large kitchen island, laundry room and walk-in closets. 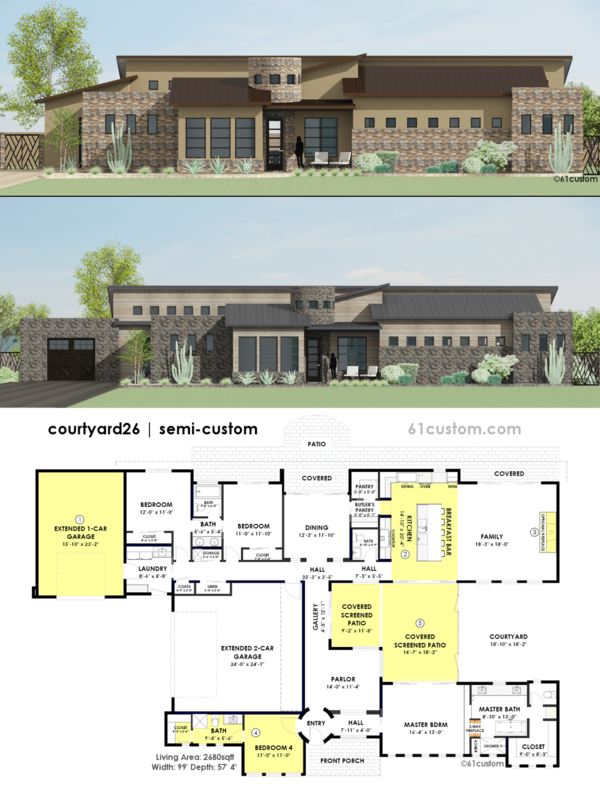 Two bi-fold doors open the greatroom up to a covered backyard patio, which makes this a great houseplan for entertaining. 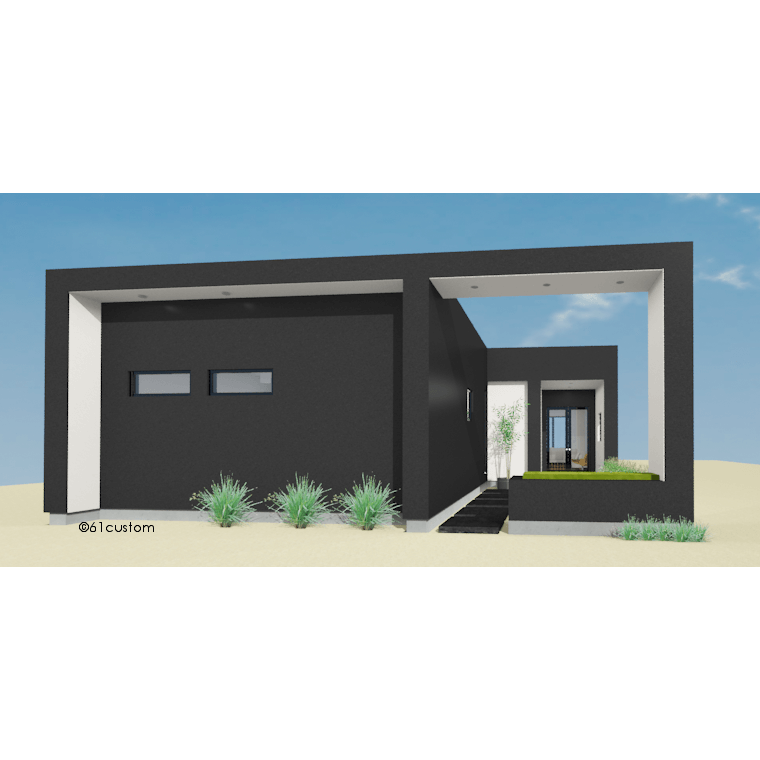 An inviting front courtyard area welcomes guests.